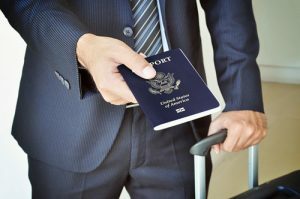 Employees can have a false sense of security while living and working abroad. Normally because companies do a great job of helping them through the transition. Unfortunately, even the most well-informed VIP can be completely unaware of dangers bubbling up around them. Political unrest resulting in an overnight regime change can quickly bring danger to their new front door. Fortunately, a quick alert from the FoneTrac travel safety app for employees can help an overseas VIP stay “in the know” of any possible threats on the horizon. When a GM assets were seized by officials in Venezuela, the initial chaos included violent protests, tear gas and gun shots. News reporters were trying to get a clear picture as to who and why, but that wasn’t the main concern of 2,700 employees. They were immediately out of a job and vulnerable to the anarchy on the streets. At a time like that, there is little CEO’s in the U.S. can do to protect their overseas employees. Quick information is key to avoiding terrorist threats and mayhem. The smartest strategy is to give overseas VIP’s access to FoneTrac’s travel safety app for employees. Sure, these can feel like uncertain times in the United States. People worry about the job market or if those in power can keep them safe. We have poverty and crime along with a host of other dangerous issues like anywhere else. Yet living overseas can bring a whole new perspective to the idea of safety and chaos. Our regime change can include heated elections and marches of resistance. Changes in other countries sometimes include death for the losing candidate and bombings on the streets. An employee working overseas has little control over what will happen. The best strategy is to get them out of the way until things settle down. The travel safety app for employees by FoneTrac does just that. Whether the VIP and their family need to stay put at home or escape to safer ground, FoneTrac teamed with GlobalSecur can advise and support. It’s important to understand that some overseas threats are short-lived. Tough talk by new leaders can turn out to be political grandstanding. They may like the way business has been going and reverse the lawlessness to civility within days. If an employee is in a safe spot waiting out what will happen next, FoneTrac can keep them informed of any progress. Employee safety reports and threat tracking alerts are sent throughout the day on iPhone or Android phones. FoneTrac’s travel safety app for employees will also alert VIP’s when the chaos has subsided. If companies and counties agree to get back to “business as usual,” the safety monitoring will continue regardless. If the threat continues, FoneTrac combined with GlobalSecur is there to help the employee navigate the best pathway out of a dangerous situation. If you want to keep your overseas VIP “in the know,” contact our FoneTrac team to learn about our travel safety app for employees.